Like many rodents, guinea pigs often hide their ailments as part of their survival instinct. This makes it even more imperative that you be on the lookout for signs of trouble, particularly when it comes to respiratory illness. If you can recognize the symptoms of a respiratory illness, you can get your piggy treatment before the condition becomes fatal. As always, consult an experienced veterinarian regarding the health and treatment of your pet. Like their human counterparts, guinea pigs can exhibit a case of the sniffles from time to time due to something as simple as seasonal allergies. However, when nasal discharge is so constant that it begins to form a crust-like substance around the nose, it could be indicative of a respiratory illness. CavyInfo International suggests taking your pet to a veterinarian within 24 hours if the nasal discharge is accompanied by gasping or wheezing. A healthy guinea pig will relish his daily food supply. A loss of appetite is often the first sign that he is uncomfortable or suffering from a dangerous illness, such as a respiratory infection. Take anorexia and declining consumption of water very seriously and get into the habit of weighing your cavy several times a week to track any changes in body mass. Any signs of labored breathing, whether it be a visible change in the way a guinea pig is dealing with the intake of air or an audible change in his sound when breathing, can signal a problem with his respiratory system. A veterinarian can examine your guinea pig by listening to his lungs and possibly taking a chest X-ray to pinpoint the cause of wheezing or coughing. Guinea pigs are generally active critters, and one who has suddenly become very lethargic and prone to sitting huddled in a corner is suffering from an ailment. According to VeterinaryPartner.com, a loss of energy could signal a case of pneumonia or another respiratory infection caused by a viral or bacterial infection. 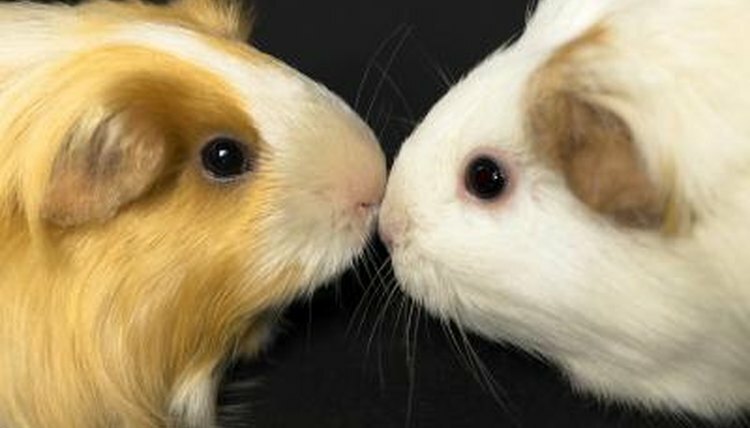 Antibiotics may be necessary to get your cavy back in healthy shape.